A great modern style, the Parker Sofa Chaise features mid-sized track arms that anchor the piece without overwhelming your room. Exposed wood legs allow for a clean look with straight lines and a perfect amount of clearance from the floor to the upholstered base. Three decorative kidney pillows enhance the sofa’s modern style while providing some added support at each seat. Shown here in a neutral micro-pattern. Visit our showroom to view this brand’s 75 fabric options to customize this sofa chaise with no upcharge. 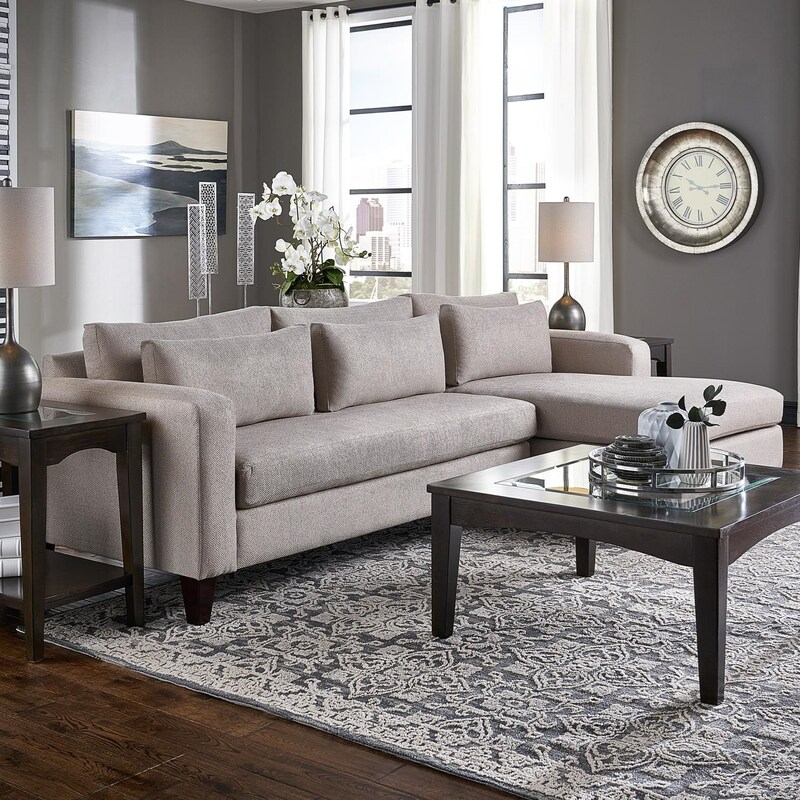 The Parker Sofa Chaise by Belfort Essentials at Belfort Furniture in the Washington DC, Northern Virginia, Maryland and Fairfax VA area. Product availability may vary. Contact us for the most current availability on this product. 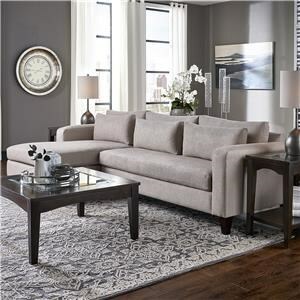 900497628 RAF Chaise 1 64" 40" 37"
157302928 LAF Sofa 1 72" 40" 37"
Browse other items in the Parker collection from Belfort Furniture in the Washington DC, Northern Virginia, Maryland and Fairfax VA area.